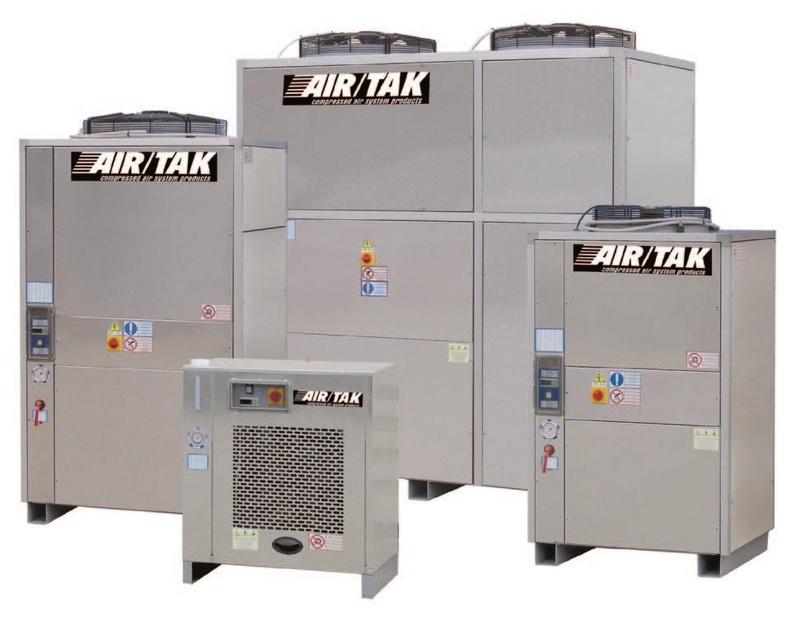 Chillers and Fluid Coolers — Air/Tak Inc.
AIR/TAK Chillers are designed to control the temperature of process fluids including water and glycol. Oftentimes, production quality can be increases and time decreased through use of these systems. Chillers can be used for a variety of industrial applications including welding equipment, plastic injections molded parts, machine tools, quench tanks, lasers, air compressors, and chemical and food processing. Designed together with industrial users, these chillers have stood the test of time in virtually every industry and application. AIR/TAK Closed Loop Fluid Cooling Systems extend the life of fluid cooled equipment, save water and reduce sewage costs, and eliminate scale and dirt build up. These systems are available in single or dual pump station and are pre-piped and wired for ease of installation.